I am so excited to be a part of the Tuesday Ten hosted by Lisa of The Golden Spoons & Rabia of The Liebers. Each Tuesday I will be sharing ten things based on a topic that is given to us by the hosts. 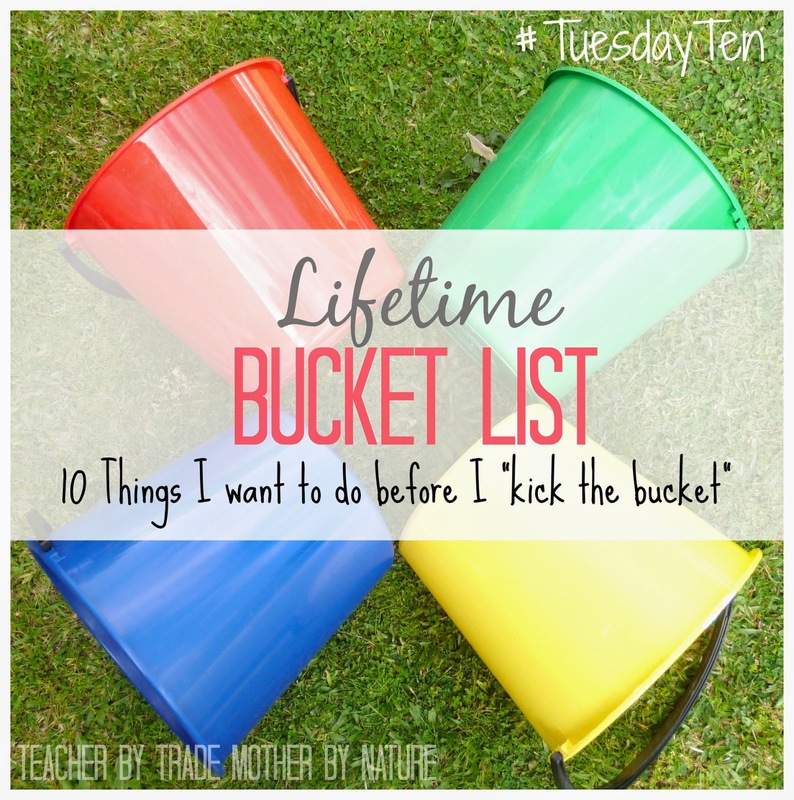 I get to kick start the first #TuesdayTen with my Lifetime Bucket List! 10 things I want to do before I "kick the bucket"
This has been a dream of mine for a very, very long time. My mother was born in Leicester, so we have family over there and I would love to visit them! While I am there I would also love to attend an Arsenal football game at Wembley Stadium, see the London Eye and visit Madame Tussauds, plus many many more! In a few months I will be able to cross this off my list - EXCITING! We are currently getting our house ready to sell in the Summer. My partner owns this house so the next one we will be buying together. I am a little nervous about it as it is such a huge milestone in my life, however I am very excited about owning a home! Mount Manaia is located in Whangarei, New Zealand - the views are beautiful (based on the photos I have seen of course). This was actually one of my New Year's Resolutions last year, and instead I got pregnant and had no energy to climb a mountain! Fingers crossed I can achieve this one next year! I had to put this one in because it was a dream of mine to become a teacher since I was 8 years old. I studied for a couple of years before I had Miss B, and took a break from study. 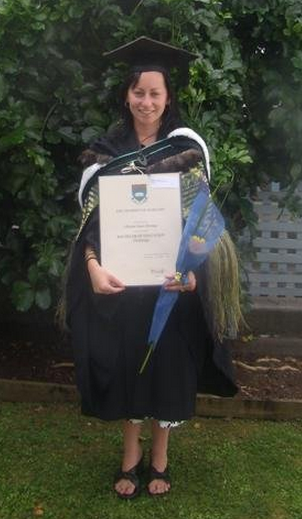 I was a stay-at-home mum for her first year, making sure I got to see all her firsts then returned to study, completed and Graduated my Bachelor of Education (Primary) in 2007. I am so proud of myself for achieving this goal (and sticking to it). In my 5 years of teaching, I have taught New Entrants (5 year olds), Middle School (7-9 year olds) & Te Reo Māori (NZ Official Language) at three schools before having my son in March this year. I am a Teacher by trade! I had to put an adventurous activity on my list! It's either skydiving or bungy jumping - or both! I have seen my brother do a tandem skydive for his 21st birthday and it looked like a lot of fun - scary but fun! This would be such a massive achievement for me (as I am not really a fan of exercise lol). I have a few friends that have just completed their first half-marathon recently and the smile on their faces says it all! Watch this space - I might even enter next year eek! 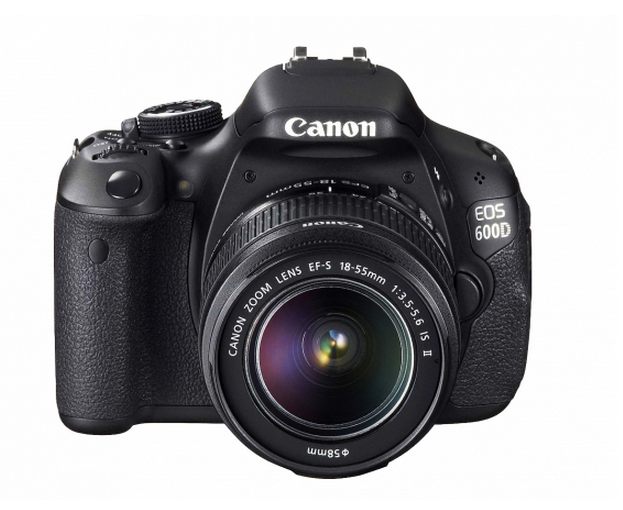 This is actually on my birthday/Christmas wish list this year - something I have been wanting, especially since I started this blog - however buying a house next year, our money is going into getting our current house ready to sell - so I will add owning a DSLR to my Bucket List instead. I would also love to do a Photography course! I am actually jealous that my daughter will be doing this before I do! She is going over next year with my parents. It's going to be her 10th birthday present from us. She is very excited! I would love to go over as a family when Master M is a bit older and he can go on the rides (so 5 year+ plan). My partner has been before as well, so I definitely need to go and check it out for myself! Now that I have started my Bucket list, I want to keep going and write at least 100 things now. Some will be fairly simple to achieve, and I will be adding a few of my wildest dream ideas in my list too. So there you have it - 10 things that I want to do before I 'kick the bucket' - and hopefully you have learned a few extra things about me. Note: I love reading comments. Please click on the drop menu to see more options...if you select Anonymous -be sure to leave your name so that I can thank you personally. Thank you Janice! You have some great goals too! I'm still working on writing my list. Yours is great! One thing that I have on mine is to learn to surf. Those are great! I love the camera one - I would really like to learn to take better photos, too! So glad you have joined us! Thank you Lisa. 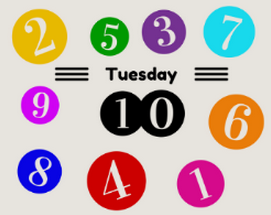 I am looking forward to adding #TuesdayTen to my blog each week. Really glad I joined up! I feel like I could keep adding to my bucket list and reach 100, too! I'd love to go to England someday, and that's not even on the bucket list I wrote for Tuesday Ten! I love your list! You've got some of the same travel destinations that I do. Guess I gotta play the lottery! Thank You Rabia! Yes, I should be buying a Lotto ticket too, - "you gotta be in to win" as they say!